Schrader Bellows / Parker | Ohio Belting & Transmission Co.
As a distributor for Parker - Schrader Bellows, we make it easy for you to get the pneumatic and hydraulic products you need. Want to order a Schrader Bellows part you can't find? Schrader Bellows is the premier manufacturer of air control valves, air preparation units, pneumatic accessories and actuation products for general industrial and transportation industries. These products are used to prepare and control compressed air for motion and control applications. Products include pneumatic and hydraulic cylinders, solenoid and manually operated directional control valves, air filters, regulators and lubricators, flow control and quick exhaust valves, as well as exhaust silencers and other accessory items. Please be aware that, effective immediately, the seal kits for the 2MA and 2ML series will no longer be available. 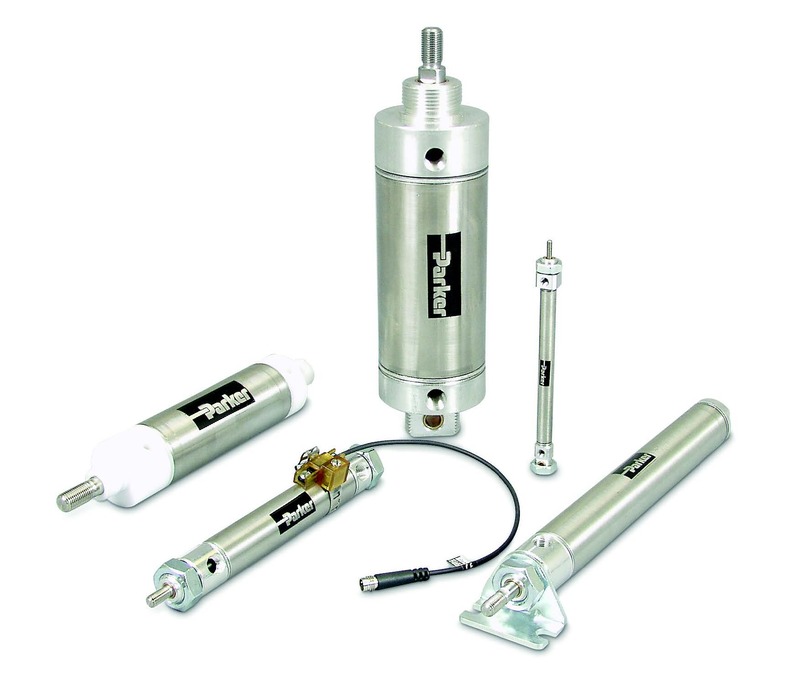 Parker discontinued the product series in 2008, we were still able to offer replacements kits for those cylinders. Parker has reached a point that they are no longer able to offer these kits. We suggest using 4MA and 4ML kits as replacements. Parker’s SR series cylinders provide quick delivery with industry leading performance and quality for today’s ever increasing compressed design cycles. Today, common SR cylinders are in-stock and available for shipment within 24 hours of order placement. With over 12 bore sizes and 28 mounting styles, the SR will provide the flexibility needed to fit a wide range of applications. The SR also provides an economical, readily available alternative for light or medium duty applications. Parker's Pneumatic Division is pleased to announce the launch of an extension to the Global FRL product offering. This is an exciting new safety product that can be modularly mounted with the P32/P33 Global FRL. The P33T redundant safety exhaust valve is a control-reliable valve that meets Category 4 (Cat 4) performance level e (PLe) applications, in accordance with the European Machine Directive ISO 13849-1. Parker Pneumatic Division recently released a Rexroth-Bosch Master competitive cross reference list to help you replace your old cylinder with a new Parker cylinder that comes with a 5 year extended warranty.